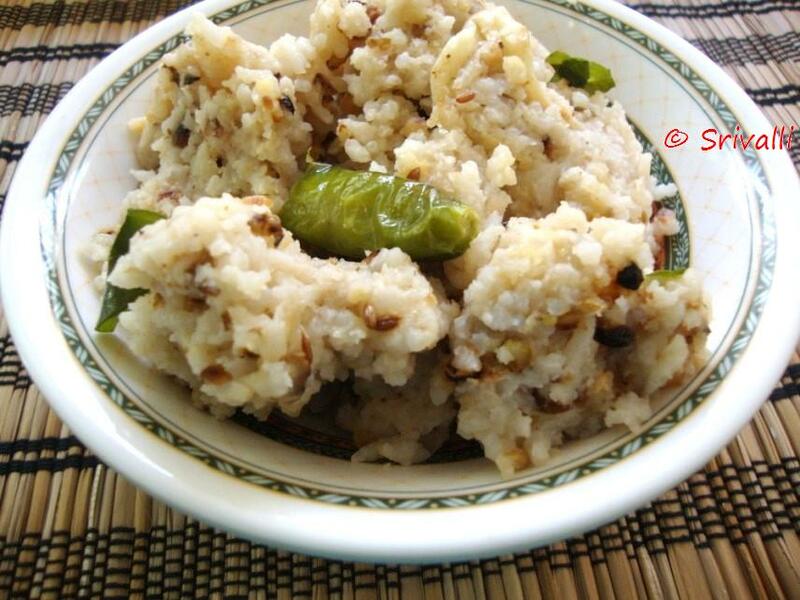 I have heard Athamma calling Ven pongal as Pulagam and it is mostly made with whole split moong dal with rice. 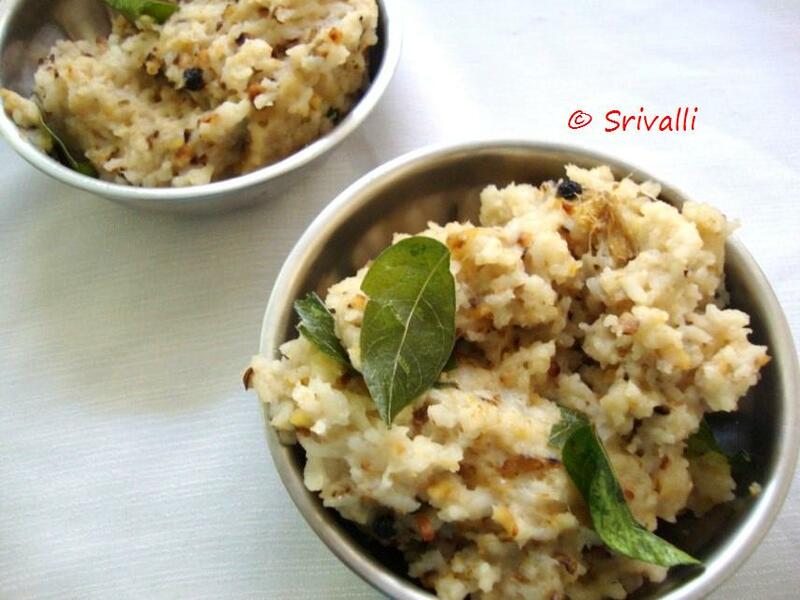 In fact the way I make Ven pongal is very different from the normal accepted way made in Tamil Nadu. But everybody at home are fine with the version I make. Still as a way to make something that will suit more a diabetic palette, wanted to try with husked whole green moong dal with rice. 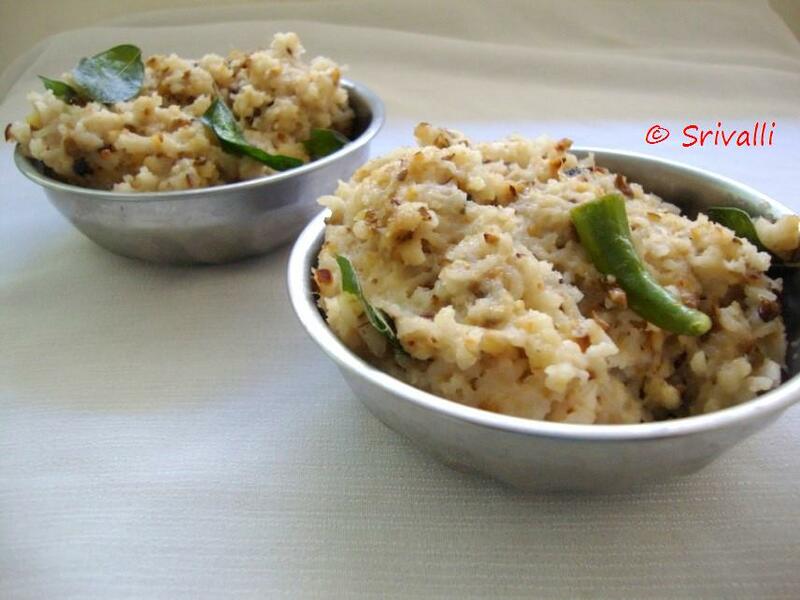 I heard about this dish from Athamma so frequently that I thought we should make it sometimes. 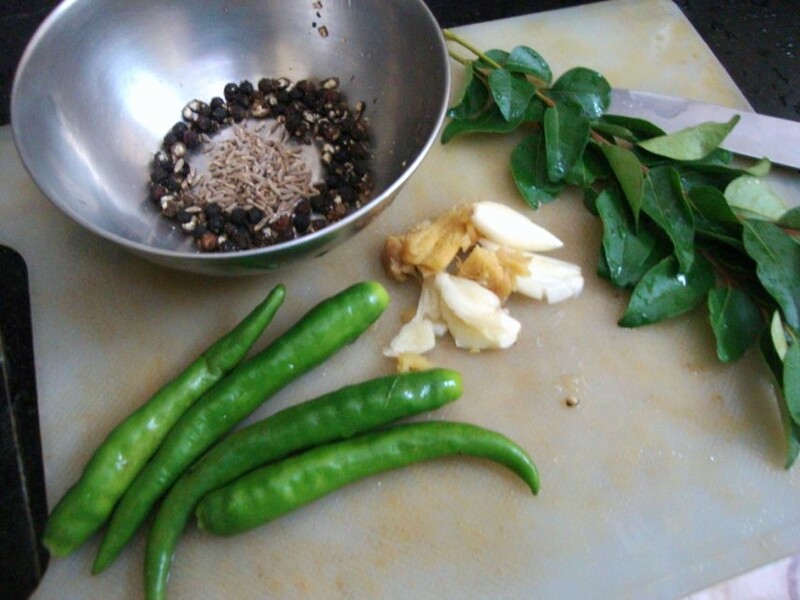 She used to make this and serve spice buttermilk along with it. This is not your typical food suitable for a diabetic diet. But we have made sure the fiber content is increased and rice is not much used. Ghee was completely ignored and well in the end of the day, eating this in moderation is all fine. 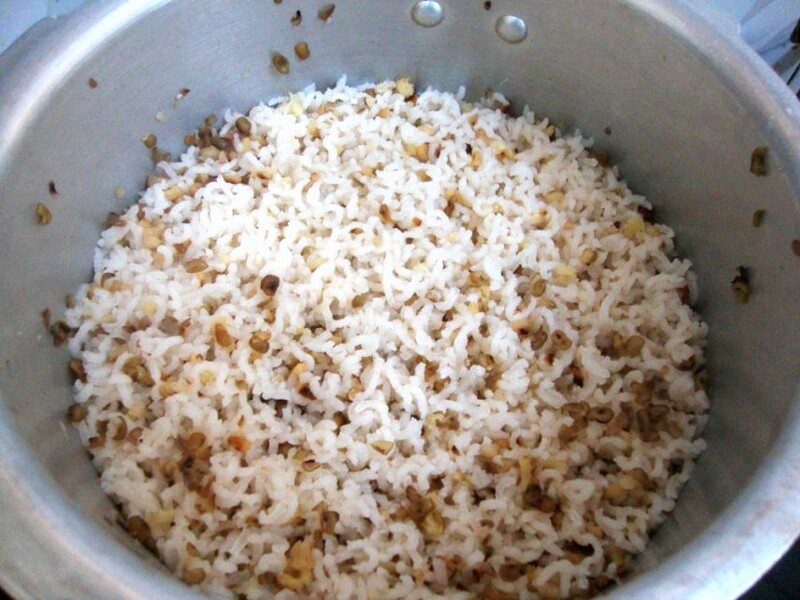 Though some strictly say no for Rice, some do advice Rice to be included in a diabetic diet. So based on that, this dish per serving is very good. Husked whole green moong dal roasted. Season with the tempering ingredients. Dry roast the moong dal till golden brown. Keep it aside for it to cool down. 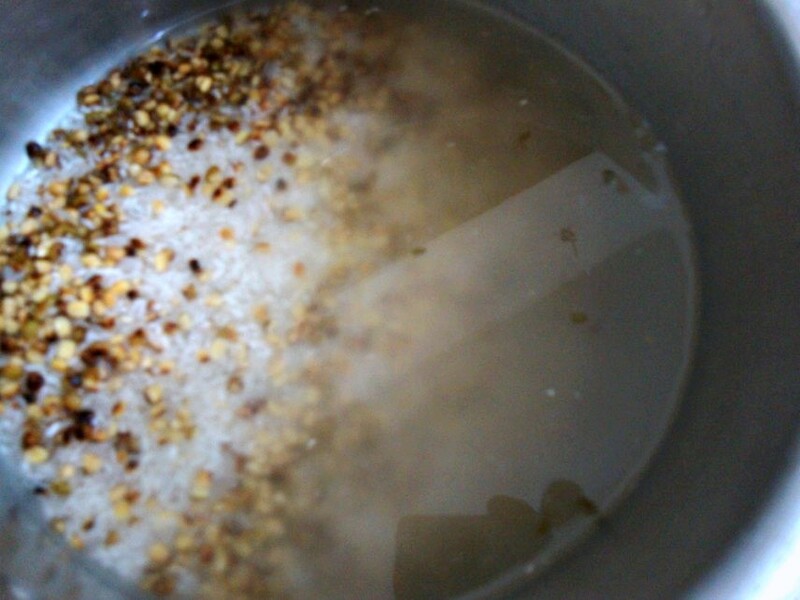 Wash and soak rice for 20 mins. 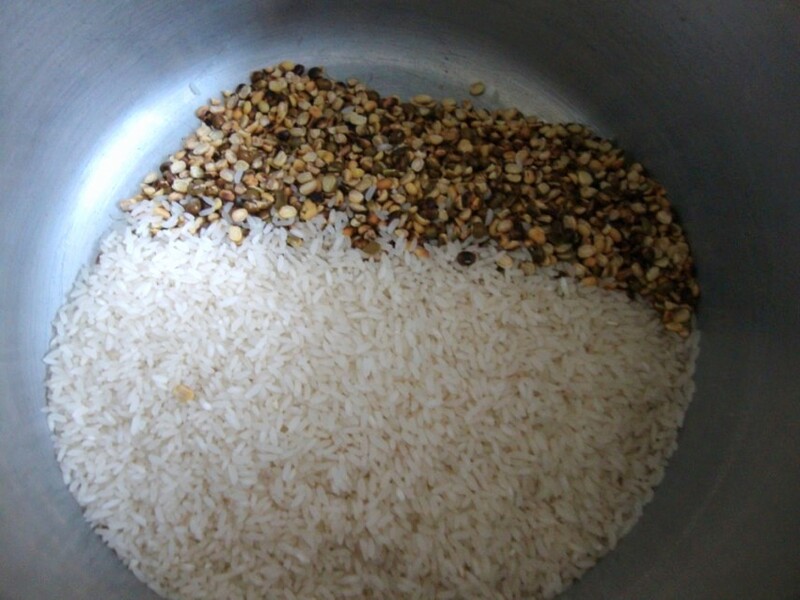 Pressure cook both rice and dal with water for 3 whistles. Mash well a ladle. Heat a pan with oil and temper with the seasoning ingredients. Pour over the cooked pongal. 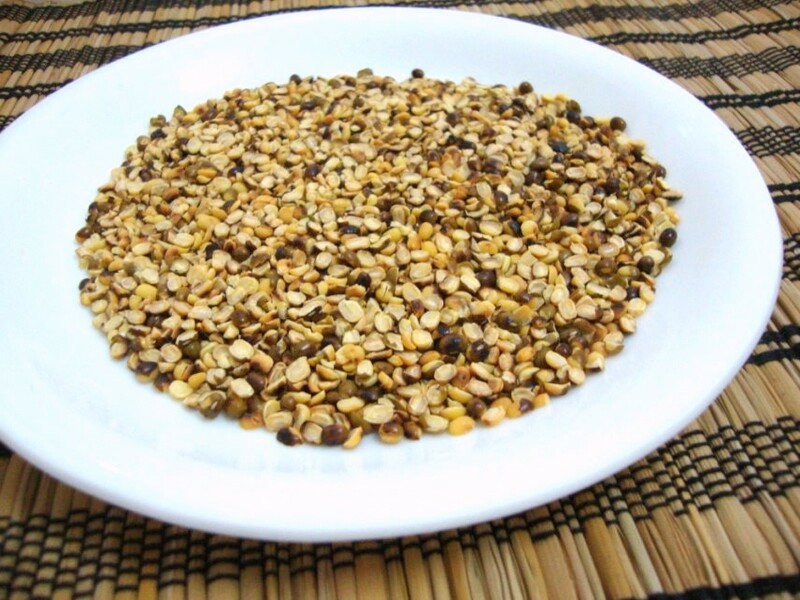 The whole moong dal that I used is a dried dal and needs to be roasted well before cooking. Since you are using only 1 tsp of oil, make sure to cook in slow flame. Real nice one. Reminds me of the masala kichadi that I make. It has been fun doing this for a week. my all time fav Mug khichadi…. nice post and looks really delicious.. WOnderful looking nutritious dish..super filling porridge..
Never made khichdi with moong dal..looks so healthy!Nice and easy recipe!! One of my fav comfort food!!! !